The 2015 Toyota Tundra 4WD Truck is a full-size pickup truck available in the 4-door CrewMax body style with the 1794 trim level. It features the 5.7-liter V8 engine that produces 381 hp/401 lb-ft of torque with a 6-speed automatic transmission which enables fuel mileage falls within an EPA estimated range of 13 mpg city to 18 mpg highway. Towing capacity ranges from 9,800-10,200 lbs. Safety is comprised of vehicle stability control (VSC), traction control (TRAC), anti-lock brake system (ABS), electronic brake-force distribution (EBD), advanced airbags, and smart stop technology (SST). 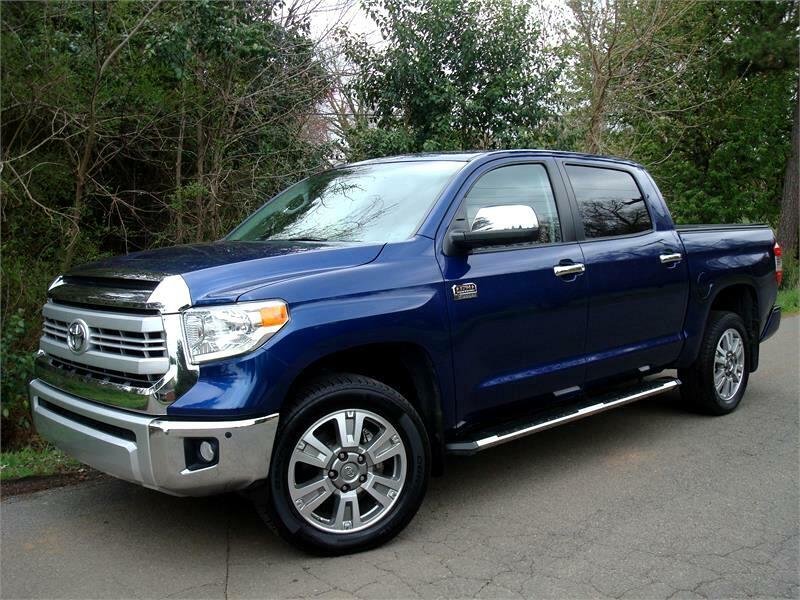 It comes in eye catching Blue Ribbon Metallic over Saddle leather interior featuring fixed running boards, spray in liner, bed cap & the tow package.